Presented below online collection of designer rings for sale includes such popular ring types as GIA certified engagement, solitaire, bridal sets, wedding bands, anniversary, cocktail, cluster, dome, heart, snake, statement, pinky, signets and many others... All the casual rings are handmade according the highest standards by skilled jewelers with over 20 years of experience and feature a state of art works! Different shapes, cuts, stones and materials used - from colored ceramics to 950 platinum, 10k, 14k, 18k yellow, rose and white gold as well as 925 sterling silver; from classic white and black diamonds to rare fancy intense yellow and natural sapphires, rubies, tourmalines, peridots and much more. We carry rather affordable right hand rings in plain gold and sterling silver as well as luxurious platinum band and cocktail rings with the top color, clarity and cut characteristics. In case you are looking for a specific size or concept and do not see it, - we are ready to help and product it. Here at 24diamonds.com you will definitely find the perfect piece of jewelry to match your personality and budget because all our designer rings are heavily discounted! From exclusive men's diamond rings like signet, pinky, statement to custom made wedding bands! Statistics show that these gold rings for men are getting more popular from day to day because wearing a nice diamond ring is really eye-catchy and can tell a lot about its owner. Our mens ring for sale collection features a rich variety of styles and designs in platinum, 10, 14, 18K gold and 925 sterling silver with polished or matte finish. Make a bold statement with plain gold ring designs, men's silver rings with diamonds, luxury one of a kind men's diamond rings with round and princess cut diamonds presented in white, yellow and rose gold. 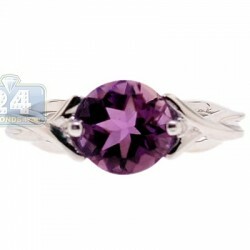 We carry black, fancy colored and onyx rings in different shapes as well. Each of the items below is handmade by highly experienced jewelers, all diamonds are natural and hand-selected from conflict-free zones. Are you ready to add a few more stunning pieces to your jewelry collection? Or purchase your first ring? Make the right choice and investment today! 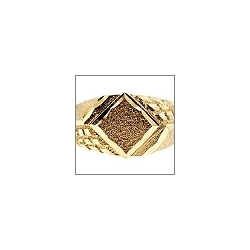 With over 2,000 women's gold ring designs and over 10 years of experience in jewelry industry, we are ready to offer one of the fullest collections of thumb rings for sale available online today. Featuring women's luxury diamond engagement gold rings, fancy diamond and rare gemstone cocktail rings, stunning wedding and gorgeous anniversary bands, various statement and elegant fashion rings of different designs, color, shape and style! From simple plain bands to extravagant oversized women's rings with natural sapphire, emerald, ruby, aquamarine, topaz, peridot, amethyst, tourmaline, onyx, pearl, turquoise, garnet, citrine and other colorful gemstones mixed with white, black or yellow diamonds; and professionally handmade of platinum, 18, 14, 10k gold and 925 sterling silver. Whether you are looking for an exclusive piece to add to your jewelry collection or purchase something for every day wear... all these and much more you can find at 24diamonds.com at great discounted prices with the highest quality guaranteed! There is no doubt men's diamond ring will never be out of fashion! Its getting more and more popular these days to wear fully encrusted diamond rings for women on everyday basis: to work, meeting with friends or relatives, parties and even to the gym or other sport activities. Diamond ring became a must have for every women today to reflect the taste and style of its owner and at the same time it is an important part of wardrobe. Although the diamond rings are mostly universal to wear with, some of them require special approach with outfit. For men the diamond rings became popular not a long time ago, but these days you can't even imagine a pinky or statement ring without the stones! 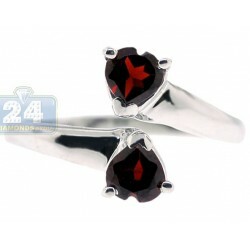 Here at 24diamonds.com we specialize in luxury diamond jewelry and offering a rich selection of rings for men and women. Below you can find GIA certified multi-stone or solitaire diamond engagement rings, fancy colored diamond rings, luxury diamond cocktail rings mixed with various natural gemstones, custom made diamond wedding and anniversary bands and rather affordable silver diamond rings. 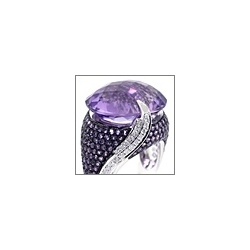 All products are exceptional quality and produced by highly experienced jewelers. Color diamond rings are always catching everyone's attention and no doubt considered the most beautiful and rare jewels! You can see these men's diamond rings with exceptional blue and pink diamonds at the leading auction houses being sold for the recording high prices. Here at 24diamonds.com we are happy to offer natural fancy canary yellow diamond, brown cognac and black diamond women's rings of the highest quality in platinum, 14 and 18k pure gold. Because of the mother nature, the stones used in the rings below are various intense and clarity, with its own birth color and shape. The designs feature white, yellow, rose and mixed tone gold colors to help you find the perfectly matching to your style, taste, fantasy and outfit desirable colored diamond ring! All rings are made with the highest quality materials by the leading professionals in the industry. Simply stunning 10k, 14k, 18k gold rings with diamonds are available in cool white and classic yellow precious metal polished to the perfection! Our men's gold rings are featuring different styles and designs - from exclusive one or two row miami cuban link, skull, animal and traditional to women's gold rings of religious theme with a cross, Jesus Christ face and Star of David symbol... these are plain gold pinky rings, signet and statement rings and bands artistically handcrafted with the attention to details by professional jewelers with over 20 years of experience. If you are rather conservative to wear diamonds and gemstones or have a limited budget, you can't go wrong with a plain gold ring. The gold jewelry is a timeless classic that never looses its color, goes out of style and could be worn with almost any t-shirt, informal or formal shirt, blouse or suit on a daily basis! Shop for the most affordable sterling silver rings today and save! 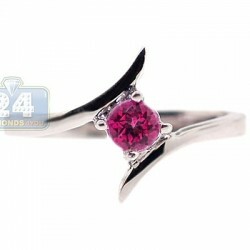 Our cheap silver rings are designed for men and women in various styles from classic plain bands, statement, pinky, signet to cocktail rings with natural gemstones and fancy colored diamonds. According today's fashion, a lot of featured men's silver rings are available in black pvd 925 silver or oxidized with white and black diamonds to add more sophisticated and mysterious look. Our skull silver rings are completely exclusive and fully iced out to make a bold statement! These women's silver rings are available with natural multicolored gemstones such as purple amethyst, blue topaz, yellow citrine, rose quartz, red ruby and garnet, green emerald and peridot, blue, black and white sapphire and others. 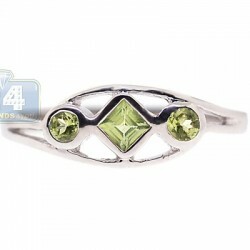 If you are looking for a stylish and affordable ring that would be a good choice to pick one of the silver rings below! When it comes to diamond engagement rings for women, it is very important to make a research and choose the right one that will last forever! Whether you are looking for a one carat solitaire diamond ring or larger round, princess, pear, heart, oval or emerald cut diamond with pave diamonds on sides, we can guarantee you will find a unique diamond engagement ring here. From fancy yellow, blue, red, orange to trending black and classic white diamonds professionally handset in platinum, 18, 14 and 10k gold of white, yellow and rose colors. Vintage diamond engagement rings became very popular these day and we are glad to present rings with blue and pink sapphires, emeralds, peridots, tourmalines and other gems mixed with diamonds that are no doubt absolutely unique and glamorous engagement rings to wear. All the ring are manufactured according to the top jewelry standards by professionals with over 20 years of experience in the industry. Some of our jewels are GIA certified, but if you are limited on budget we carry non certified diamond rings as well. Make your fancy pick today and save on high quality engagement ring with us today! Make your choice from diamond solitaire rings and setting rings with single amethyst, sapphire, topaz, aquamarine or garnet! Engagement solitaire rings are one of the most popular among bridal ring types today and a lot of people prefer to go with them. And this fact is easy to explain, - because of the simple and elegant design you are staying focused on the actual center stone that could be round, princess, heart, cushion, marquise, pear or emerald cut. These centerpieces are securely set on four or six prongs which protects the brilliant or gem from falling and as the result in complete stone loosing. All our rings are professionally handmade by top rated jewelers with over 20 years of experience in the industry to make sure each product exceeds customer's expectations. We carry GIA certified diamond solitaire rings with gorgeous settings in 10, 14, 18k gold & platinum. 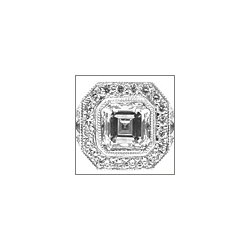 Please check our selection and pick the most suitable ring according your taste and budget! Whether you are looking for a simple plain gold wedding band for men or a luxurious all the way around diamond wedding ring for women, we have a great selection of them according to the latest trends and today's fashion! Designed with round, princess and asscher cut diamonds in 10, 14, 18k and multi-tone gold or platinum, one of the main esthetic purposes of these diamond wedding bands is to complement your current engagement ring and make them shine together like your never endless love, but it could be worn individually as well if you want to stay conservative and true to your style. Depending on your needs we have women's wedding rings available in classic, contemporary, modern, and even antique styles in case you are wearing a rose-cut diamond engagement ring. All featured bands are expertly handcrafted by professional jewelers that guarantees the highest quality delivered. Feel free to check our collection below and purchase the desired wedding band for yourself or a loved one! We always offer great discounted prices on bridal jewelry! A diamond eternity ring is a sparkling symbol of endless love between you and him! Simply gorgeous from each angle, our eternity rings feature white, black and fancy yellow diamonds of round, princess, asscher and radiant cut. Perfectly handmade of 10, 14 and 18k white, yellow and rose gold as well as platinum, there is no doubt you can find the women's eternity ring you will fall in love at first sight with! Completely and partially encrusted with diamonds all or half the way around, these eternity bands create a stylish sophisticated look no matter how and what are you wearing them with. From massive three row to elegant thin designs with the brilliants delicately set on sides, we use only high quality materials to produce state of art products that will last a lifetime. If you are looking for an exclusive piece no one else owns, we can produce any custom made ring according your size, specifications and fantasy! Most of the custom made orders are completely ready within 10-15 business days. A diamond anniversary ring is the perfect way celebrate your years of love and marriage! Featured anniversary rings are gorgeously handmade to symbolize the power of your lasting commitment and trust. From traditional three to modern multi-stone pave diamond rings designed with round, princess, asscher and radiant cut diamonds securely set on multi-prongs to sparkle forever and everywhere! Available in platinum, 14k and 18k white, yellow and rose gold, these anniversary bands could be worn together with your engagement ring, wedding band or separately on your right hand. Whatever you are looking for a simple and elegant design or more fancy set with mixed gold and brilliants of the high quality, be sure you will find it here. We are also glad to offer our customers one of a kind custom made bands, handcrafted by professional jewelers in famous New York City Diamond District. Contact us today to start the production of your unique breathtaking diamond or gemstone anniversary ring! Our fashion diamond rings are always stay popular and never go out of style! The selection of women's cool rings features unique designs with diamonds and various gemstones of natural origin: from large and oversized cocktail, statement, cluster rings to classic bands... Our highly skilled jewelers with our 20 years of experience use only top quality materials to deliver the highest quality possible that can last a lifetime! These men's fashion rings presented below are showing the real beauty of mother nature white, fancy yellow, brown and black diamonds, blue and pink sapphires, green emeralds, red garnets, yellow citrines, purple amethysts and other gorgeous precious or semi-precious stones! Make a real statement and find your dream cool ring with these exclusive fashion rings handmade of 14 and 18k white, yellow and rose gold! All diamond fashion rings are polished to the perfection or have a special matte finish to show a never-ending chic look. Almost any of these rings can be worn on a daily basis with any outfit. Our unique designs of diamond flower rings are always the most desirable pieces to own! Rich looking and contrasting with other styles, these diamond rings for women are bringing extra light and glitter to ladies who wears them. There is no doubt, rose, lotus , lilly, jessamine are the most beautiful mother nature creations and our highly skilled jewelers with over 20 years of experience made these flowers possible to wear on your fingers. Our floral-inspired diamond rings selection features unique designs of different styles, shapes, various diamond colors and metal combinations: from fancy yellow diamonds to classic white, from pearls to natural gemstones... from classic bands to oversized cocktail, statement and even engagement rings and much more! Expertly handmade on platinum, 10, 14, and 18k gold of white, yellow, rose as well as two and three tone gold. Each ring is the one of a kind piece with its own character and brilliance that will last forever! Heart shaped rings are still the most popular symbols of the endless love! 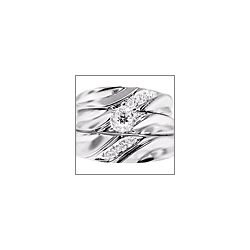 Never out of fashion, these women's diamond rings bring happiness and joy to its owners. Our promise rings are exclusively handmade with top quality white, black, natural fancy yellow diamonds and gemstones to bring the lifetime luster to the jewels. Black onyx, red garnet, purple amethyst, green emerald, blue sapphire, topaz and aquamarine, yellow citrine...we use them all to show a rainbow colors of love to our customers! Expertly handmade of 10, 14 and 18k white, yellow and rose gold, these diamond heart rings for women feature from classic and delicate, double to bold and oversized rings to satisfy the most spoiled and extravagant taste or limited budget. 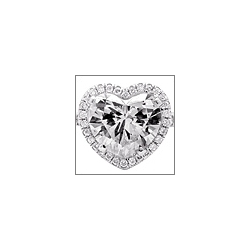 If you are looking for a large GIA certified white, pink, red or blue heart shape diamond, please let us know and we will be more than glad to find you such a rare, one of a kind stone that could be professionally set in a state of art platinum or gold setting. Show your lasting love with our beautiful heart diamond rings! Always elegant and unpredictable, these diamond snake rings will take your breath away! Going back to ancient times, the nature theme was commonly used in jewelry and particularly various serpentes families immortalized in women's ring designs. Snake is a timeless symbol of life, healing, humankind, power and desire. With our exclusive realistic snake rings handcrafted with white and black round cut diamonds, expertly made of 14 and 18k of white, yellow and rose gold, you will be under special spiritual protection! To add an absolutely realistic look, the most luxurious snakes are eye-accented with natural emeralds, rubies and sapphires. We carry completely iced out with brilliants, trending long double rings and classic plain gold designs so you can find the right one according your taste, style, mood and budget. Sleek, extravagant and exotic diamond snakes are no longer biting, but adding more sophistication and wealth to your everyday look! What makes diamond cluster rings special is the amount of brilliants and labor used to bring the single jewel to life! Gorgeously shining at day and night, our women's cluster ring selection features absolutely one of a kind designs: from bold and extravagant cocktail rings with gemstones to classic cluster bands that could be worn everyday! Simply fabulous mixes of baguettes, princess, oval, pear, marquise, heart and round cut diamonds make absolutely beautiful geometric objects of art fitting the women's finger in the most comfortable way. These cluster engagement rings are usually worn separately and make you stand out because of their special glitter! Our highly skilled jewelry maestros use only top quality brilliants, gemstones, 10, 14 or 18k white, yellow, rose gold, and sometimes even combining the colors to bring the uniqueness and character to the each piece made. Any of the featured bands would be a special addition to your rings collection and will be lasting forever! Our stunning diamond dome rings always make an impressive statement! Mostly round and oval shapes, the our bold designs with vintage rose-cut brilliants or fancy yellow, green, blue, black and brown colored diamonds will never be out of fashion! If you are a fan of gems, we also have exclusive gemstone dome rings with natural rubies, sapphires, emeralds and other precious and semi-precious stones. Impressive filigree, floral, mosaic and various abstract objects are used to bring the featured below designs to life! All women's dome rings are expertly handcrafted of 10, 14 and 18k yellow, white, rose and multicolored gold with polished to the perfection or elegant matte finish. Whatever you plan to wear them on a daily basis or for special occasions only, these rings are surely will catch everyone's attention right away! With our selection of luxurious and classic dome rings, you will be able to find the right piece according your mood, style, taste and budget to enjoy the stunning jewel forever! Why not to go with fancy thumb rings if you do not like anything grey and ordinary?! Breathtaking yellow, blue, pink, black, white diamonds and natural gemstones expertly handset in modern, contemporary, vintage and mixed style settings... from completely iced out, extravagant, bold and oversized designs to classic solitaires made of platinum, 10, 14, 18k white, yellow, rose and multi-colored gold, these thumb rings are made to make your life more rich, bright and colorful! Featured fancy rings for women are professionally handmade by skilled jewelers with over 20 years of experience in the industry and as a result, we are offering these state of art products that will last a lifetime. A knot, wrap, loop, ball, wing, trap, flower, animal and other objects inspire jewelry designers and artists to make these dream pieces alive and ready to wear. We are offering over two hundred fancy rings to you at heavily discounted prices... make your choice today and add more colors to your everyday life! Diamond men's rings with black onyx achieved their popularity because of the classic and sophisticated look that can last forever! These black onyx rings can be worn as a signet or pinky rings, depending on your style and preferences. A timeless black stone always adds some mystery and sophistication to any look, and our men's onyx rings can be worn daily with any outfit. The black onyx stone by itself symbolizes protection, healing, purity and associated with the Saturn to bring positive vibes to those who was born in the shadow of this planet. At 24diamonds.com we offer these women's onyx rings of different shapes like round, square, oval, rectangular, cabochon encrusted with eye-clean white round cut diamonds to bring extra shine and glamour. Even if you are a conservative type, a little bling never hurts and but adds some chic. Expertly handmade of 14 or 18k white gold, finished with a bright polish to shine forever, our onyx rings are truly one of a kind... with our discounted prices you will be able to make your jewelry dreams come true!